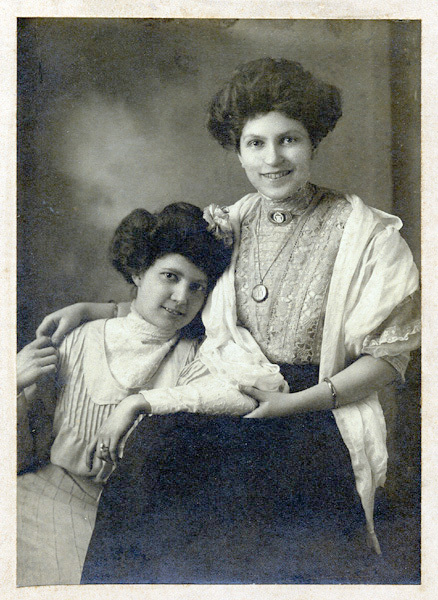 Comments: Clara Lee Pitts is shown above with an unidentified friend in this Burgess photo. Clara was born June 21, 1889, in Scottsville and was the daughter of Captain John Lee Pitts and Florence Lindsay (Burgess) Pitts of Belle Haven. She was also the niece of William Burgess and a very outgoing lady. Clara married Charles Richard Dorrier in Scottsville on October 25, 1911, and they lived at The Cottage on Belle Haven Farm until their Hill Top home was built on James River Road in Scottsville. The Dorriers owned and operated C.R. Dorrier and Company, a general store at the southwest corner of West Main and Valley Street in Scottsville. Clara and Charles Dorrier were the parents of five children: Charles Richard, Jr.; Sara Elizabeth; John Lee; Lindsay Gordon; and James Lee Dorrier. The above photo is part of the Kathleen McNamara collection. Kathleen resides in Scottsville and is the granddaughter of John Lee and Helen Amanda (Burgess) Pitts and niece of Clara Lee Pitts.